First of all, welcome to RUN! The first step you'll need to take is to click on the Welcome video and listen to the RUN guys with their tips for success. 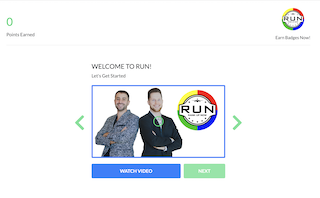 This video introduces the RUN guys, goes into the details of the history of this app and how it can help you and your business. Once you have completed the video, surprise, surprise! 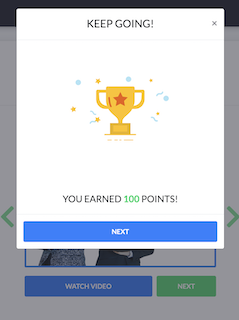 You will have earned 100 points! 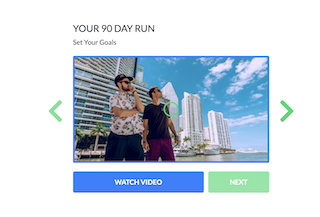 When you click on NEXT, you will have access to work on the next training module: Your 900 Day RUN. The learning modules guide you through the app so that you'll be able to quicken the pace of your business.